The finals of the 78th Bexhill Men’s Open Bowls Tournament took place in glorious sunshine on Saturday. A large crowd of spectators was on hand to enjoy the finale of the week-long event at The Polegrove bowling greens. There was plenty of local success, including in the championship singles, where Rob Morphett (Spartan BC) beat Alec Martin (White Rock BC) to claim the title. The scores were level at 6-6 after 12 ends and Martin then scored a four to lead 10-7. Morphett scored 11 shots during the next five ends, however, to lead 18-10 and went on to triumph 21-14 after 23 ends. The first semi-final saw Morphett defeat Tosh Springate (Swale IBC) 21-14 after 22 ends. The scores were level at 11-11 after 14 ends before Morphett scored 10 shots over the next eight to defeat an opponent who has not bowled outdoors for eight years. 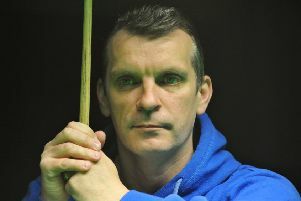 In the other semi-final, Alec Martin saw off Ken Barber (Leighton Buzzard BC) 21-3 after 12 ends. Springate and Barber shared the trophy for the best visiting player not reaching the final, while Bob Bartholomew (Bexhill BC) and Michael Stone (Sidley Martlets BC) won the trophy for the best local player not reaching the final. The championship pairs winners were Charles Wright (Spartan BC) and Steve Jeapes (White Rock BC), who beat the father and son partnership of Ajay and Rob Morphett (Spartan BC) 23-13 after 19 ends. Wright and Jeapes were leading 14-12 after 15 ends, and then scored nine shots over the next three ends to win the championship. Wright and Jeapes had a comfortable 19-8 win over Dave Shorey (Sidley Martlets BC) and Lee Dickson (North Sheen BC) in one semi-final, while the Morphetts were even more convincing winners in the other, overcoming Eric Nash and Keith Bailey (Eltham BC) 26-3. Wright and Jeapes were also victorious in the triples alongside Mike Evans (Spartan BC). They clinched the title by getting the better of Steve Heitzman (Buxted BC), Lee Heitzman (Spartan BC) and Martin Heitzman (Felixstowe BC) 14-11. In the semi-finals, the winners beat John Southgate (Harrow BC), Mick Deeprose and Derek Deeprose (Sidley Martlets BC) 17-12, and the runners-up saw off Alan Clack, Bob Banstead and Lloyd Oliver (Eastbourne BC) 26-10. The consolation pairs was won by Andy Collyer and Peter Oakman (White Rock BC), who beat Linda and Jim Cooper (Polegrove BC) 16-10. At the conclusion of the finals, Scott Musted, representing the Birchwood Group - the main sponsors of this year’s tournament - presented the trophies to the winners. The tournament was very well organised again by the tournament committee, which was once again ably led by Bill Whittington, the tournament organiser. This was very much appreciated by most of the 250 competitors.